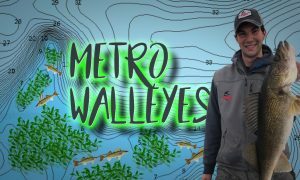 > Every spring, zillions of walleyes make the annual run from Lake of the Woods into the Rainy River to spawn. 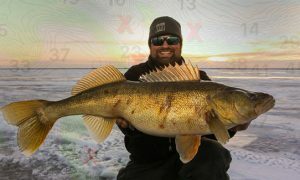 This can be some of the best fishing all year…both high-number days and a seriously good shot at sticking giants. > Jigs and plastics dominate here — usually brighter-color ringworms and paddletails work best. Experiment with jig weight…try to get away with as light as possible while still maintaining bottom contact…gives the plastic a more-natural look. > Look for flats adjacent to the river channel and shoreline pockets. Fish will be spread out across the entire river, but if you find one chances are there’s more. 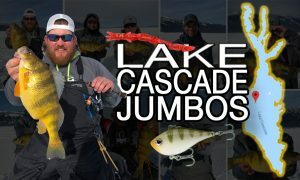 > Fishing on the Rainy is heavily dependent on water conditions — generally the cleaner the water, the better the bite. 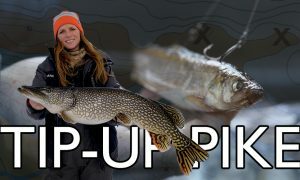 Don’t be afraid to bring a couple of whoopin’ sticks as a back-up plan…the Rainy River has some incredible sturgeon fishing and it’s easier than you’d think. 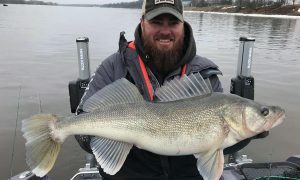 > One word of caution: the Rainy can be insanely busy in the spring before the rest of the state’s walleye season opens. Be prepared for long lines at the ramp, though there’s plenty of places to hide on the river…no doubt it’s worth it! 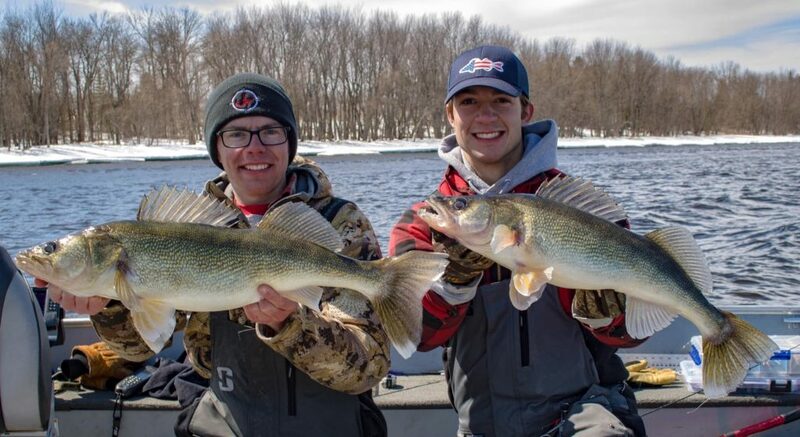 Fish-heads Forrest Leitch and Logan Peterson with a Rainy River double. > The 7-mile stretch of river below the De Pere dam is one of the best areas in the Midwest to stick a legit double-digit fish. 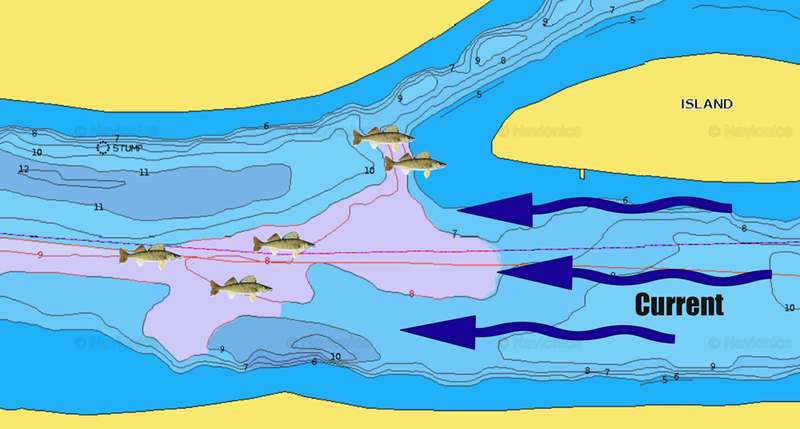 > Early in the “run” when the water is at its cleanest, walleyes will tend to stay deeper. As snow melts and (the runoff) dirties up the water, fish will move shallower…especially with sunny conditions. > The Fox also has a number of shoreline accessible spots for those looking to do some fishing from the bank. Voyageur Park in De Pere is a popular spot all spring. 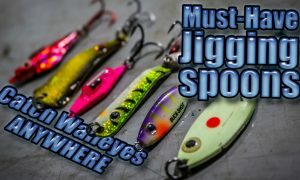 > Jigs and plastics work well here, as well as rattlebaits like Rapala Rippin’ Raps. 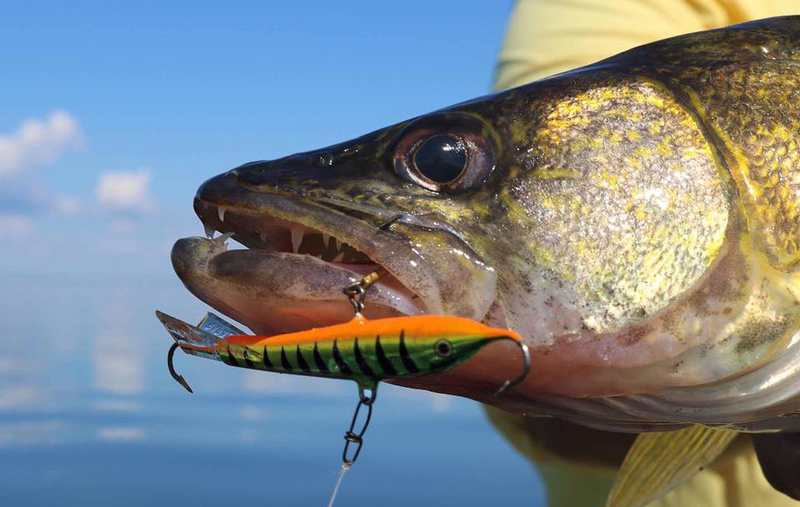 Play around with retrieves…as the water warms, more aggressive snap jigging can work extremely well. > Brighter colors usually work best in stained water conditions — orange and chartreuse are river standards. > Trolling is another option, especially at night. 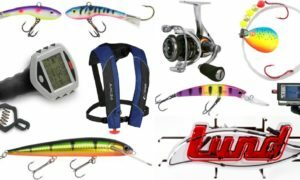 Can fish 3 lines per person in WI, so stickbaits like Rapala Husky Jerks and Smithwick Rogues — pulled behind Off Shore Tackle Planer Boards — can cover a lot of water fast. 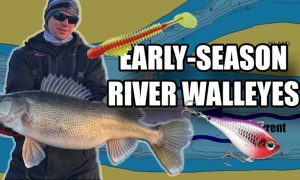 > The mighty Mississippi is another killer option for early-season ‘eyeballs. 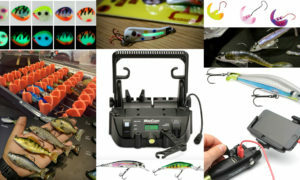 Although fishing varies by pool, many of the same techniques are used across the board. 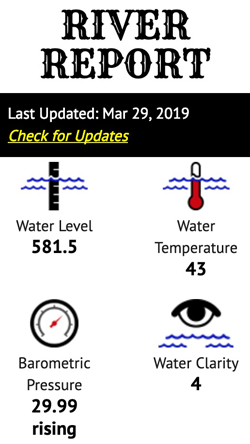 > The “Big Muddy” is impacted more by high-water conditions than any other early-season system, so keep an eye on river levels and boat launch closings. > Fishing close to the major lock and dams can produce big number days, but expect company…these areas are the busiest spots on the river. Finding flats and current breaks down from dams can produce just as many fish and usually a heck of lot less busy. 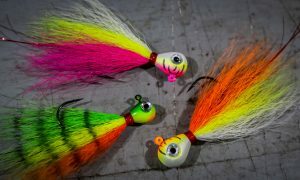 > Jigs tipped with minnows and plastics can produce all spring. Make sure you have extra, the Mississippi is notoriously snaggy and you’re bound to lose a few. 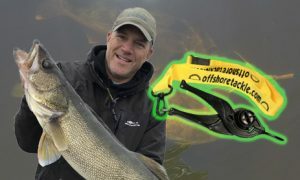 > Slow trolling up-stream and long-lining jig/plastic combos behind the boat is a great way to get your bait close to the bottom and fool pressured fish into biting. 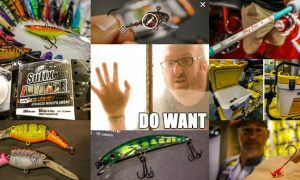 > Another great technique is fishing 3-way rigs with small stickbaits like Rapala Original Floaters or Husky Jerks. > Each spring piles of fat gravel lizards migrate from Lake Erie into the Maumee River in search of spawning grounds. 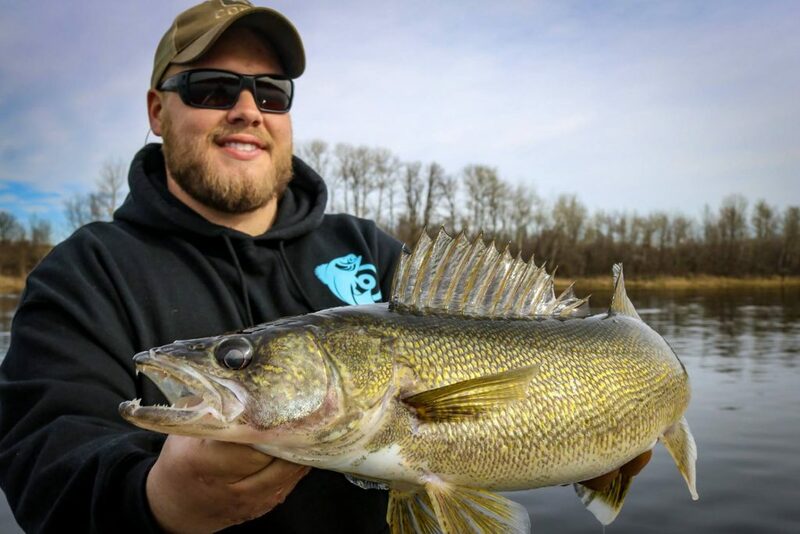 Smaller male walleyes show up first (jacks) followed by their larger female counterparts. > The annual run is such an event that there’s literally a “walleye hotline” you can call with up-to-date river conditions: (419)-407-9731. 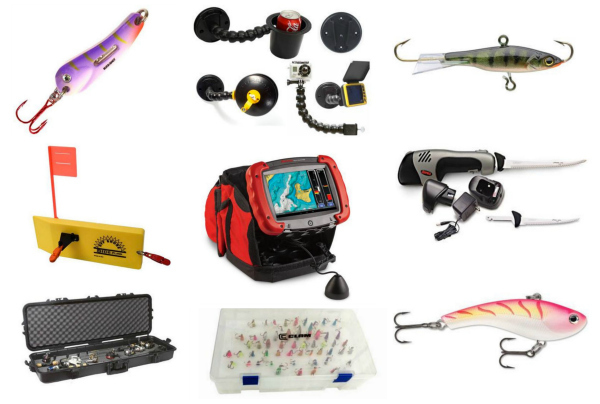 > Maumee Tackle Fishing Outfitters also keeps an up-to-date report on their website and is one of the go-to bait and tackle shops in the area. 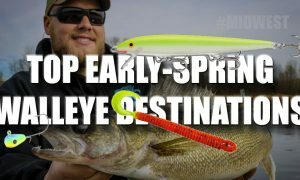 > The Maumee has ample shore fishing locations available — one of the most popular areas is Side Cut Metropark. 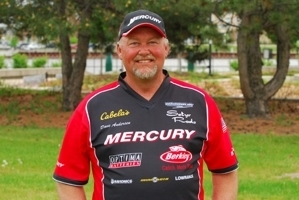 Shoulder-to-shoulder fishing is common, with thousands of anglers from all over coming each spring. > Pack light if you’re fishing from the bank: A handful of jigheads from 1/4- to 3/4-oz and bright plastics (ringworms and paddleatils) will get the job done. 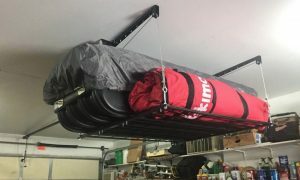 > Casting jigs upstream and “swinging” them as the current sweeps ’em back down is the most popular technique…especially since you probably won’t have much room on either side. 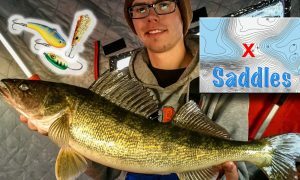 > DL is one of the few walleye factories (that’s not a river) where the walleye season is open during pre-spawn and spawn. 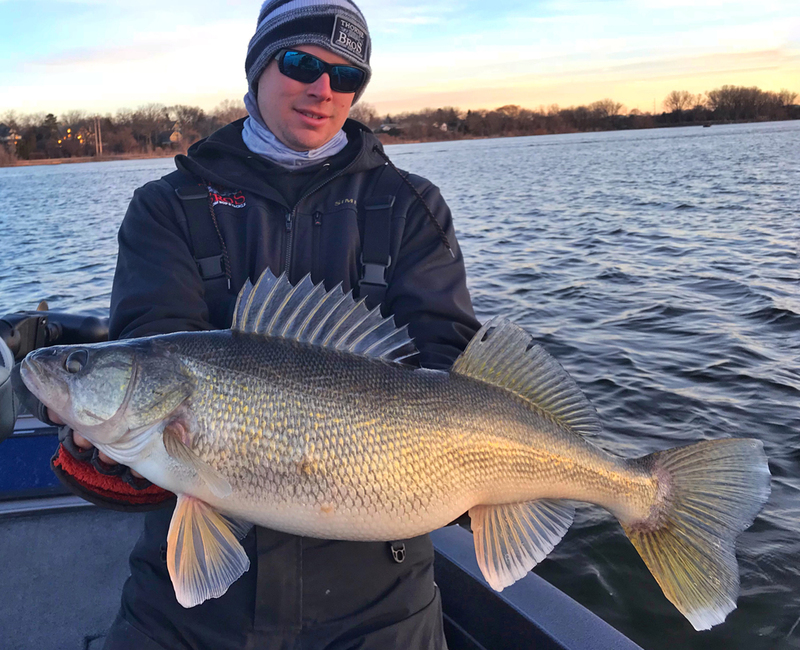 Male walleyes are the first to show up shallow when the water begins to climb into the low- to mid-40s. > Anywhere there’s current in 1-8′ is a good place to start: bridges and channels, inflows/outflows in the backs of bays near spawning areas, even riprap along road edges. > Look for south-facing structure along northern shorelines as it warms the quickest. Packing a set of waders can help you to sneak away from the crowds and cast where others can’t reach. > Being able to fish with 2 lines per person gives you a huge advantage in dialing in the bite. Try pitching plastics or tossing shallow-diving cranks with your “active rod” to catch aggressive fish. 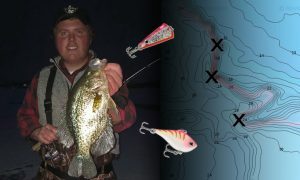 A slip-bobber or slip-sinker rig with live bait on your second rod will fool the fussy biters.